Designers of the new Volvo VNL combined elements of Volvo’s design language with dynamic new features. Swept back headlights include signature Volvo daytime running lights and frame a bold new Volvo grille and hood. Redesigned and repositioned engine air intakes allow for less turbulent intake air delivery. Airflow up and around the cab has also been optimized with new chassis and roof fairings. Productivity is directly affected by driver comfort, which is why the new Volvo VNL features an all-new dashboard which puts often-used controls within the driver’s reach. Centered in the gauge cluster is a configurable, five-inch color driver information display that provides trip and diagnostic data. The driver information display is customizable, ensuring that critical information is always available to the driver at a quick glance. An optional infotainment system is available, featuring a seven-inch color touchscreen, navigation and an exterior back-up camera. A premium audio system is integrated with the infotainment system, which also features Bluetooth and Apple CarPlay for the ultimate in connectivity. Additional apps can be downloaded to the infotainment system as well. A dash-top tray features 12-volt power and USB connectivity to keep devices fully powered. The new Volvo VNL is also equipped with Volvo’s smart steering wheel, putting controls for nearly all of the driver interface functions right at a driver’s fingertips. The smart steering wheel is attached to Volvo’s Perfect Position air-assisted, infinitely adjustable steering column, which enables drivers not only to tilt and telescope the steering column, but also tilt the steering wheel relative to the steering column. This lets drivers of all statures find the perfect steering wheel position and easily view the driver information display. A wide variety of seating options are available on the new Volvo VNL series. An increase in seat travel fore and aft, as well as up and down, improves driving ergonomics. Premium features like seat heating and ventilation are also available. That comfort extends to the four sleeper cab configurations available in the new Volvo VNL series. Designed to provide drivers a comfortable place to rest after a long day on the road, the sleeper options are packed with a number of space-saving, comfort-boosting innovations. Additionally, an all-new, full 70-inch sleeper is available in the Volvo VNL 760 and 740 models, taking Volvo’s legendary comfort to an all-time high. All VNL sleepers feature curved cabinets that open toward the back to maximize space, as well as an integrated, reclining bunk, which is a trucking industry first in North America. LED interior lighting reduces power consumption and provides softer lighting. A redesigned sleeper control panel allows drivers to control heating and cooling, and adjust the audio system from a more ergonomic position on the bunk. In addition, drivers can lock the doors or activate a panic alarm if needed. For the first time in North America, Volvo’s Globetrotter trim levels will be available on the VNL 760 and VNL 860 sleeper models. Long a symbol of ultimate driver comfort, the Globetrotter trim levels include a full aerodynamic package, polished wheels, high-end seating, as well as a refrigerator, inverter and parking cooler package. The VNL series comes standard with the 13-liter Volvo D13 engine, while Daycab and VNL 400 models can spec the 11-liter Volvo D11 as an option. The 15-liter Cummins X15 is also available in the VNL series. Both the Volvo D11 and D13 engines feature Volvo’s patented wave pistons, a unique design that helps burn fuel more efficiently. Fuel is delivered by a proven common rail fuel system with proprietary features that improve fuel delivery precision, cut weight and reduce noise. 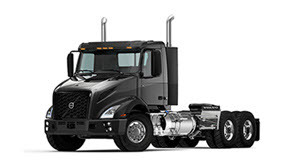 The Volvo VNL is also available with the Volvo D13 Turbo Compound (D13 TC) engine that utilizes a mechanical waste heat recovery system to capture wasted energy from the engine’s exhaust. The result is an additional 50 horsepower fed back to the crankshaft and an improvement in fuel efficiency of up to 6.5 percent. 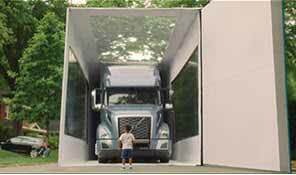 The new Volvo VNL series not only turns heads on the road, but also in the wind tunnel. 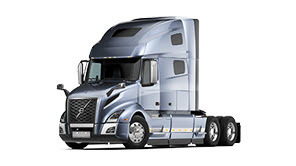 Its sleek new design better controls airflow around the truck and its trailer, resulting in improved fuel efficiency. When combined with the efficiency benefits derived from the D13 TC, the new VNL delivers up to a 7.5 percent increase in fuel efficiency when compared to a 2015 VNL model equipped with a GHG 2014 D13 engine. The entire Volvo VNL series comes standard with Volvo’s I-Shift automated manual transmission, which is fully integrated with Volvo engines. With a full array of sensors detecting speed, grade and load, the I-Shift knows when to shift, hold a gear or coast in neutral. Also, by eliminating traditional shifting, the I-Shift enables the driver to focus on the job. Volvo Active Driver Assist by Bendix, which is now standard on all Volvo VNL models, is a camera and radar-based system that combines forward collision mitigation warnings and active braking, even with stationary vehicles. The system features an industry-first heads up windshield display if a driver approaches too closely to an object in front of them. If no driver action is taken, the system can automatically apply the brakes to help mitigate a collision. 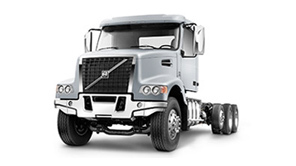 Volvo Enhanced Stability Technology, an electronic stability control system, is also standard on all VNL models. The VNL series is equipped with automotive-quality LED headlights that produce abundant bright light to improve visibility. Automatic lighting and rain-sensing wipers are also available to improve safety. 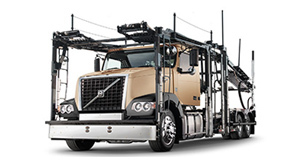 Like all Volvo models, the new VNL series cab is built with high-strength steel and exceeds both the Volvo Swedish Cab Safety Test and ECE R-29 rollover requirements. The industry’s only standard driver’s side airbag is now joined by an integrated, seat-mounted rollover airbag on the driver’s side. All Volvo VNL models come standard with Volvo Remote Diagnostics, Volvo’s factory-installed telematics hardware that provides connectivity for proactive diagnostics and monitoring of critical engine, transmission and aftertreatment trouble codes. 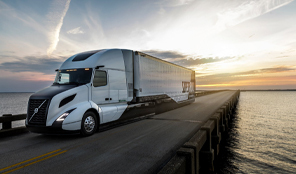 The same hardware also allows customers to perform powertrain software and parameter updates over-the-air with Remote Programming, which helps improve uptime and vehicle efficiency, while reducing downtime costs. Support for Volvo trucks is provided 24/7 by highly trained Volvo Action Service (VAS) agents, who monitor critical vehicle codes. 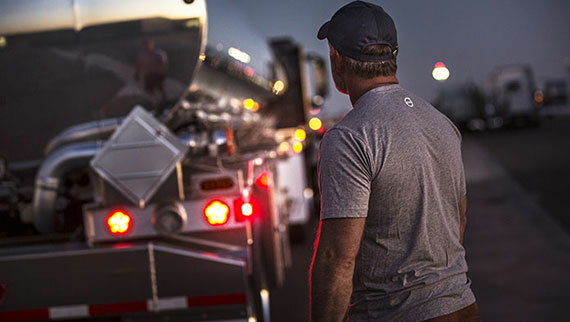 If an issue is detected, VAS agents will assess the severity and provide the vehicle’s designated contact with actionable information to determine whether to keep operating the truck or take it for immediate service. All details from the service process are captured and tracked through ASIST, Volvo’s online service management and communication platform. This gives the driver, customer contact and dealer real-time visibility to case status, repair scheduling, and parts and service bay availability. Remote Programming updates are also facilitated by VAS agents. 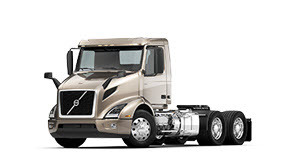 The new Volvo VNL series was designed and engineered at Volvo Trucks’ North American technology center in Greensboro, North Carolina, and will be built at Volvo’s New River Valley assembly plant in Dublin, Virginia, where all Volvo models for the U.S. are assembled. Volvo engines and transmissions powering each VNL model will be produced at Volvo’s powertrain manufacturing facility in Hagerstown, Maryland. 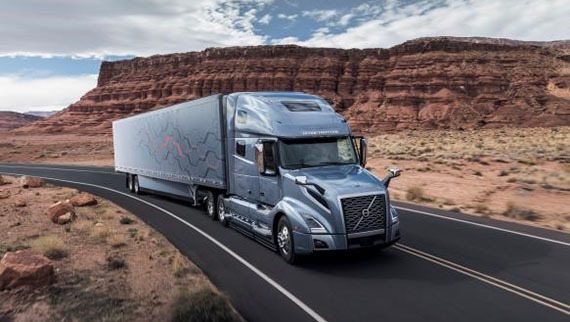 Volvo Trucks North America today revealed the new Volvo VNL series (top), a groundbreaking tractor that meets the needs of today’s long-haul trucking customers and professional drivers through cutting-edge innovations in efficiency, safety and uptime. The new Volvo VNL series is available in several configurations and includes completely redesigned driver (bottom left) and living (bottom right) environments to boost driver comfort and productivity.